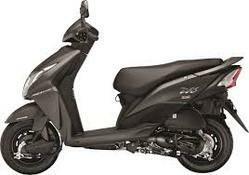 Our range of products include electric two wheelers(scooter) and two wheeler electric scooter. Our range of products include electric two wheelers(scooter). We are client-centric organization, due to which we use only genuine and superior quality of raw material. Our offerings are Two Wheeler Electric Scooter. Machines manufactured by our organization are known for its durability, easy operation and low maintenance cost. We also make sure that the machinery gets a perfect finishing after manufacturing. Looking for Electric Two Wheelers Scooter ?